Portland has become a city I love to visit. Wonderful food, great drinks and THE BEST bookstore are three of my reasons. 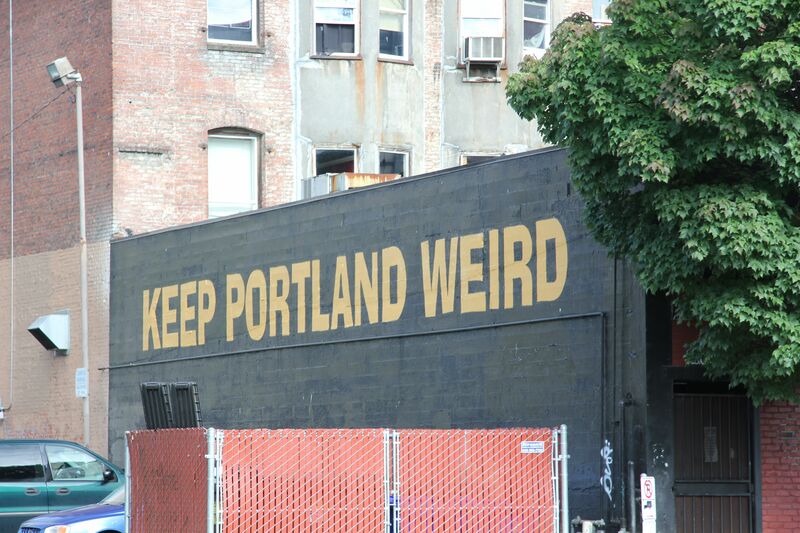 A lot of people I know discount Portland as being too small, too eclectic, too hippy but those are some of the things that gives Portland its charm. Booking a 4*hotel on hotwire.com or priceline.com for around $100/night is what you can expect. You’ll usually end up somewhere in between the Pioneer Square and The Pearl district, which is the perfect location. FRIDAY PM: Tired from the travel and need a sugar rush? Visit Portland’s famous Voodoo Doughnut. Yes, it’s touristy and some say the doughnuts aren’t that good but it’s not really about the doughnut, but more about what’s on top of it. 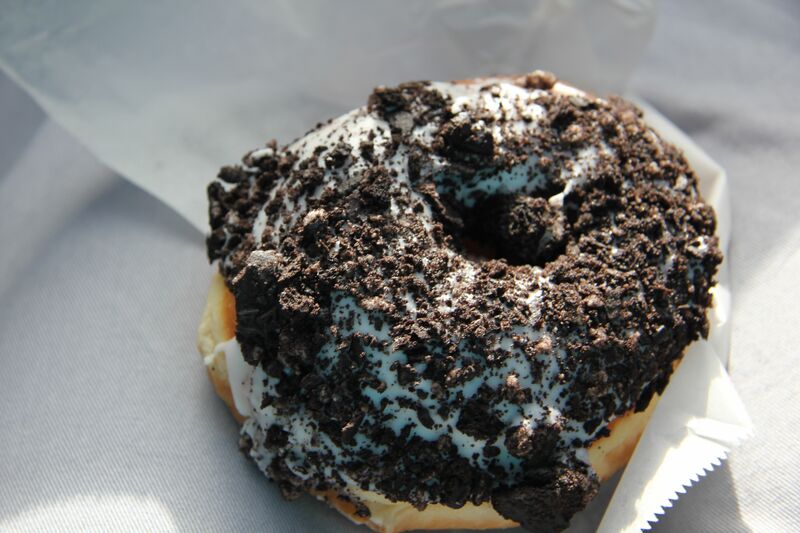 The Dirt Doughnut with vanilla frosting and oreos! 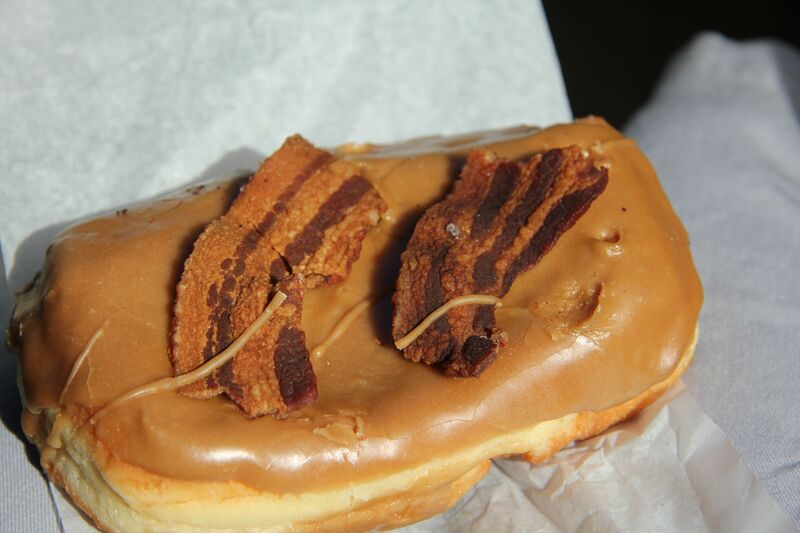 Maple Bacon Bar- yes that’s a doughnut with bacon on it and it’s good! 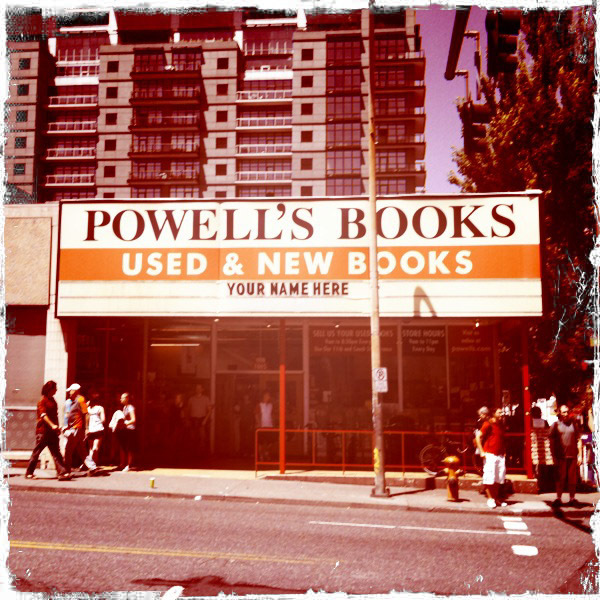 With new-found energy from your sugar rush, head for a sneak peek at Powell’s Bookstore. You’ll need hours to browse through this independent bookstore that fills a whole city block, so go in to gasp in its wonder and map out your plan for the next day. Head on out to the NW district to Paley’s Place, which dubs itself local, organic and sustainable; three words any (ex-)hippy would love. My food-loving in-laws ate there this week and in their words, “It was a treat. The food was terrific and the people were wonderful”. Back downtown after dinner, go to Bailey’s Taproom for a Portland style nightcap = a glass of beer. Featuring $4.50 pints or $2.50 glasses of micros from smaller Oregon breweries this place is a great place to sample something uniquely Oregonian. 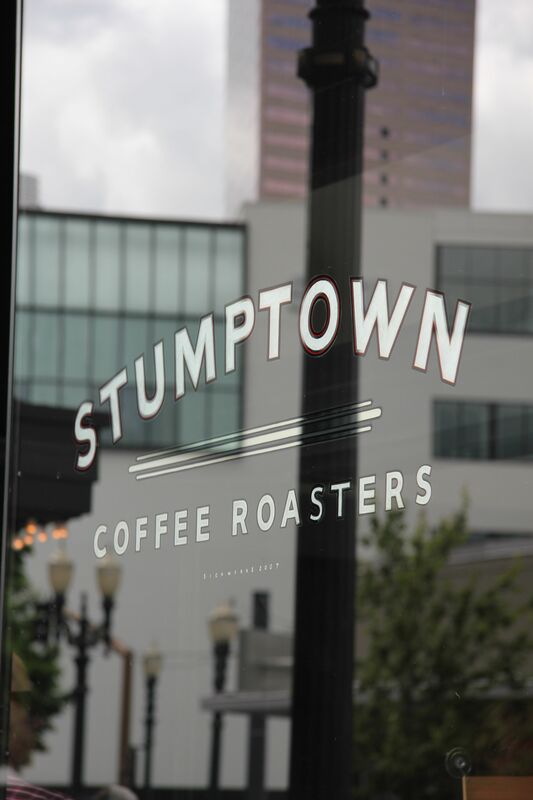 Start your day with a stroll over to the Ace Hotel’s Stumptown coffee for one of the best Americano /Latte /Cappuccino you’ve ever had. Two choices here: Either grab a pastry to go from Stumptown and walk 3 blocks to lose yourself in Powell’s bookstore for a few hours. When you feel like you need some fresh air walk a few blocks in almost any direction to try out one of PDX’s fantastic food carts. OR Head on over to the Saturday Farmers Market for delicious delights beyond belief. Portland has a great microbrew industry. 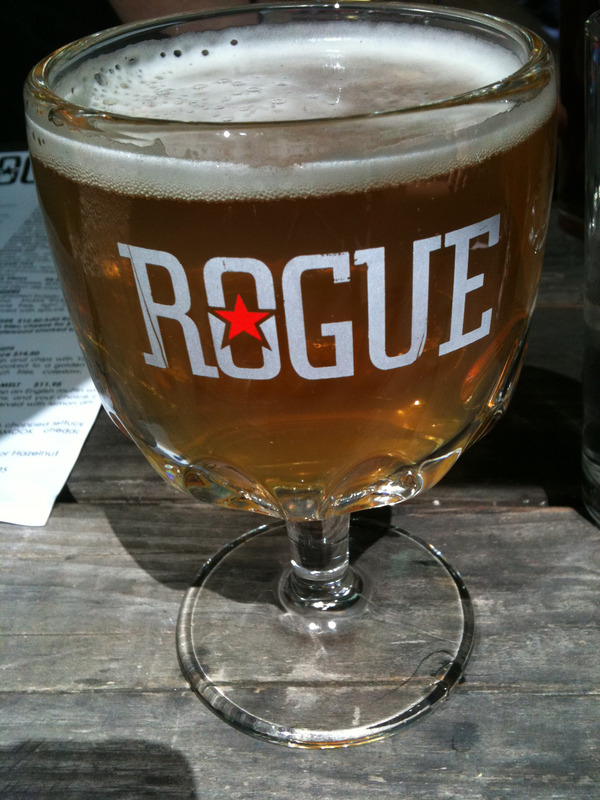 Stop in to Rogue Ales or Deschutes Brewery for a break from your shopping in the Pearl District. Go big with a goblet or try a sampler! Make the drive Southeast in the early evening to Apizza Scholls but be prepared to wait at least 30 minutes for some delicious wood oven pizza. Try the Apizza Amore and Tartufo Bianco half and half. If you want to check out the music scene, PDX style, head on up to Lower Burnside to Doug Fir. They have nightly shows in a room that makes you feel like you’re in someone’s suburbian basement. 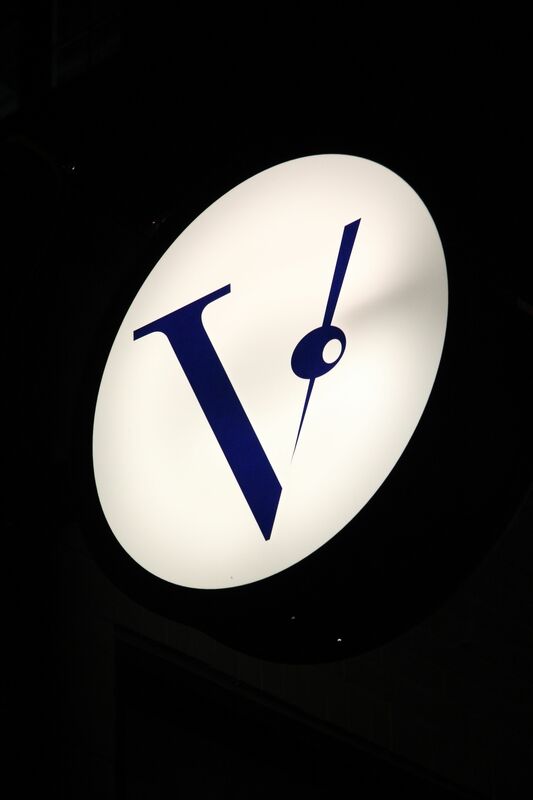 Or if you’d rather check out the bar scene, and are looking for a zinger to end your evening with, go to Vault Martini for their Habanero Martini made with house-made pineapple habanero infused vodka and lemon juice. It’s shockingly delicious. But please be warned, this is not a quiet place for a nightcap, it’s a bar with loud music playing. One last stop for indulgence before heading home. 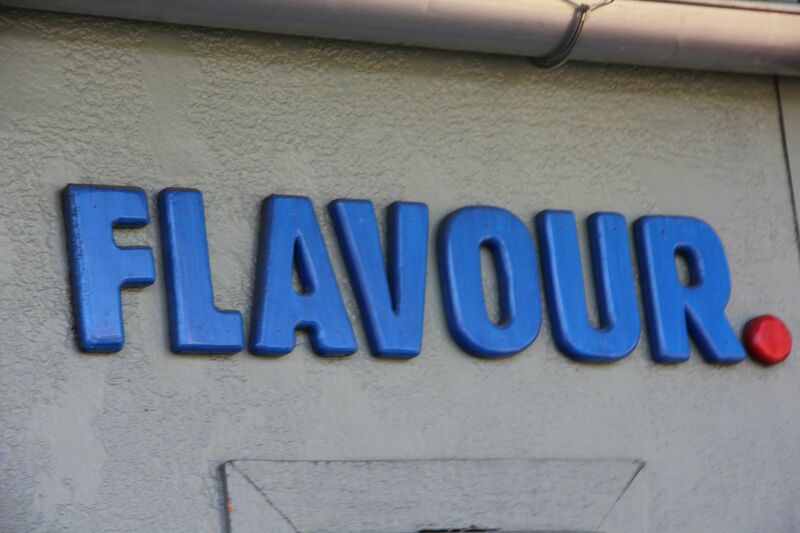 Flavour Spot is a food cart located off the I-5 just north of Portland. 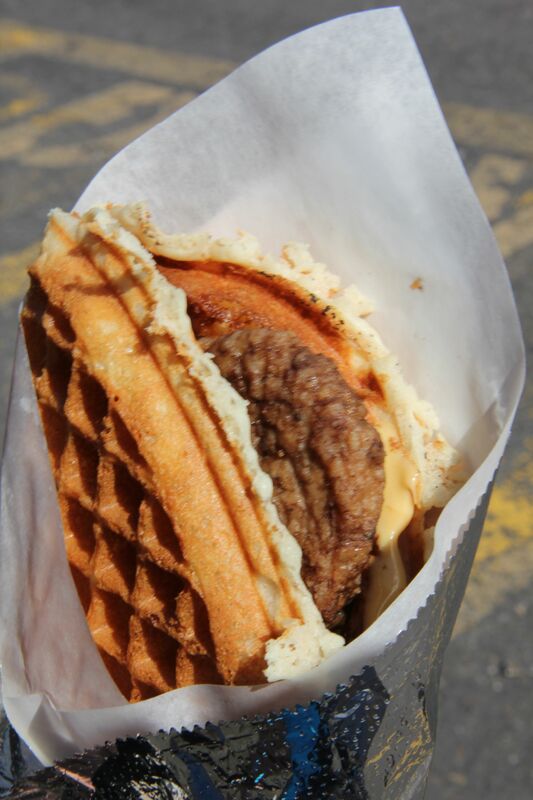 The sausage with maple spread waffle is beyond belief, although I’d ask for it “easy on the maple” to cut down a bit on the sweetness. Hope this is enough to inspire you to visit Portland! If you’re still only somewhat convinced that the food scene in PDX is worth checking out, let me know and I can throw you some more bones. Awesome take on Portland. It gives a great short and sweet guide and does justice to a fun town!